Magic Alex thanked the Friends of the Library too! 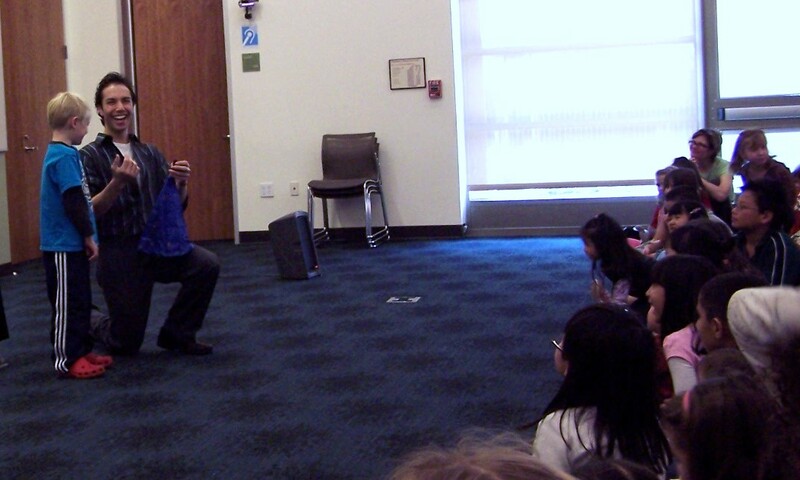 Magic Alex came back to the Castro Valley Library on Saturday after his two-year stint as the “Magical Zingmaster” for the Ringling Bros. and Barnum & Bailey Circus. 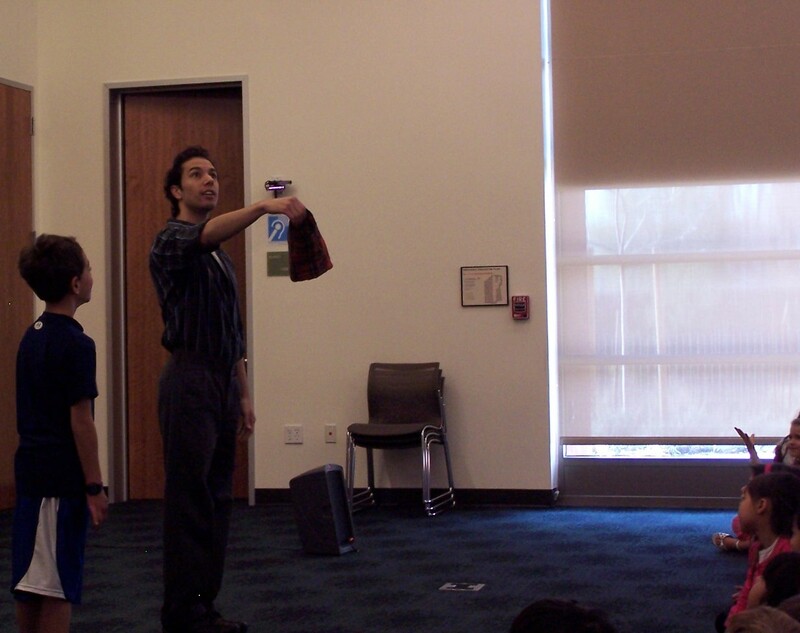 He told the audience about how books helped him learn his first magic. Some of his first shows were in libraries, and that is why he loves coming back home to do library shows between his other commitments. Alex will be appearing in his own show at the Lesher Center in Walnut Creek on Saturday April 16. 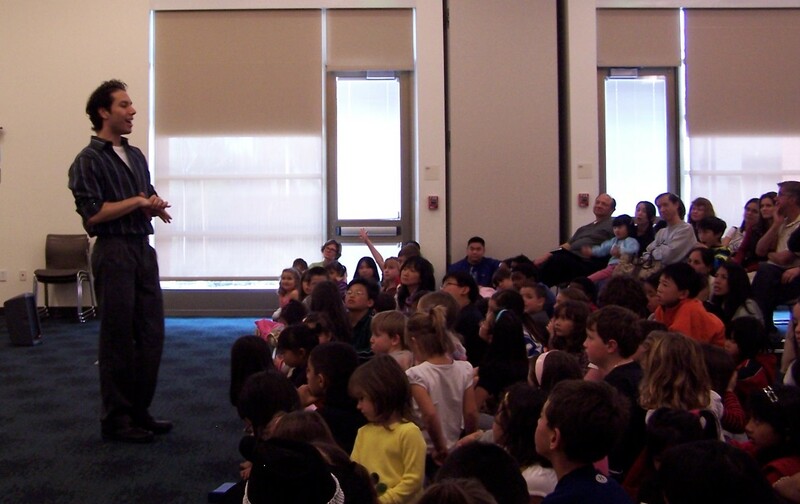 He is also working on a new library show especially for grownups who want to learn more about the mysteries of magic! This 25-year-old master magician will demonstrate his best magic and then audience members will have an opportunity to participate in the show, and to ask questions like “What was it like living on the circus train?” or “How did you learn your lines in Japanese and other languages when you were traveling all over the world with Disney Live! 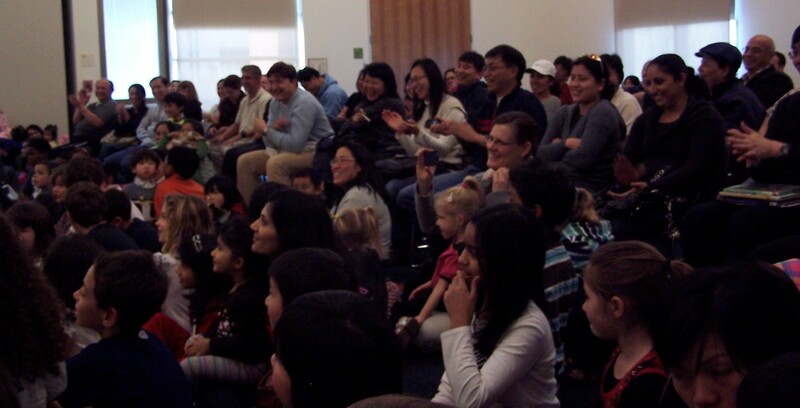 “Mickey’s Magic Show?” So if you want to really know how he does it, check with the library to find out when he will be visiting us again!